Expert Quality, for garage and workshop use. 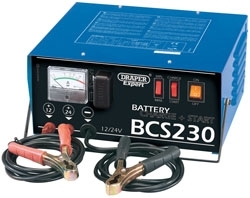 The starter/charger has thermal overload protection, an easy-to-read ammeter, polarity inversion and a carrying handle. Carton packed.